Are you a fan of Grimm's Fairy Tales? 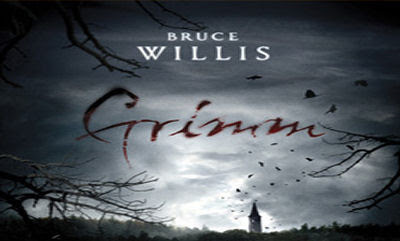 Apparently Bruce Willis is and he is attached to star in a film called "Grimm" which see's some of the more famous fairy tales brought to life in present day. 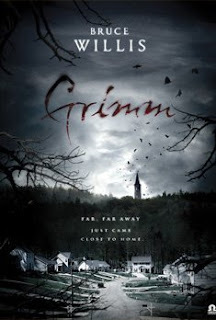 The film will be a darker outlook on the famous children's stories and could prove to be far better than the last adaptation we saw from Grimm in The Brothers Grimm. Omega Entertainment release a lengthy synopsis for the thriller yesterday that reads as follows: Marburg, Massachusetts, USA - Teenager Katie O'Sullivan goes to a new babysitting job. Instead of a regular family, she encounters ghostly twins Henry and Grace and a terrifying apparition that drags her off towards a sinister tower. She is never seen again. Soon afterwards, Pat Quinn and his family move to the seemingly idyllic town, where he is the new Police Chief. His second wife Ella has two daughters from her first marriage and Quinn has a daughter, Megan, and son, John, from his. On their very first evening John encounters the strange twins, as well as a huge frog, which he brings back to the house. Quinn makes him take it back to the pond where he found it, but that night a wet, naked young man forces his way into the house and Megan's bedroom. He vanishes before Quinn sees him, leaving behind a slimy trail. From this moment on, Megan and John notice strange things and people in the town, but when they talk about them, nobody believes them. Only Professor Kurland, who approaches Quinn to show him pictures of Katie and two other teenagers who went missing at the same time, thinks they're telling the truth. He warns Quinn that bad things happen to youngsters in this town. One day, Megan and her best friend Ruth go to visit Ruth's grandmother. A wolf-like creature attacks them, having already savaged the grandmother. Ruth is torn limb from limb and Megan barely escapes with her life. As mysterious and frightening happenings occur one after the other, Quinn starts to believe there may be sinister forces at work in Marburg, but will he discover who or what is behind it all in time to save his family?